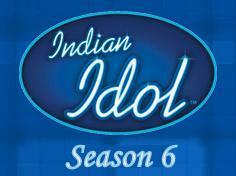 Music reality show Indian Idol is back with sixth season on Sony TV. Indian Idol 6 Lucknow Audition will be held on 5th April 2012. The show, which was dropped last year for the launch of 'X Factor India' will be making a comeback later this year. This time Little change Register online participants they can upload Own performance videos and grab a chance to perform in front of the judges. Participate In this reality show and prove your talent In Indian Idil ‘s 6 which be telecast on India’s biggest television Sony TV. Mini Mathur and Hussain who have previously hosted the show will once again be back as the faces of the show. As regards the judges, Anu Malik is expected to be a part of the show again. Step 1. Participants need to log on to www.myindianidol.com to register. Name, Age, Gender, Contact number, Email ID, Preferred city for auditions from amongst the options provided). For example: "IDOL 16 F DEL"
Every SMS sent to the participation numbers will be charged Upto Rs.3/- per SMS - 52525(All Subscribers). Indian idol 6 audition registration through IVR- Please Dial dial 5052525 to register BSNL landline subscribers from Punjab & Rajasthan need to dial 1255525 to register. WHAT IS VENUE FOR LUCKNOW.........???? address of indian idol audition in lucknow?????? plzz give the venue of lucknow for II-6 Audition..
Is there any audition code or offer will be provided to candidate for giving his/her audition?,,,,,,,,,plzz tell me as soon as possible......plzzzzz......for informing contact me at this no 9044176454.